Updated Wednesday September 6, 2017 by Frank Zardezed. 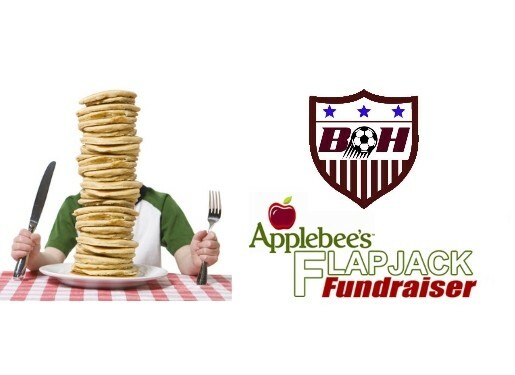 The club is hosting its 3rd annual pancake breakfast fundraiser at Applebee’s restaurant on Saturday, October 28th from 8am to 10am. The price is $7 per ticket and children 4 and under are FREE. We will be selling tickets at Saturday REC games and at BH-BL soccer games. The breakfast includes pancakes, bacon, coffee, milk and juice. The U12 and U14 girls will be serving you... sometimes even with a smile. Thanks for your help in supporting this event!